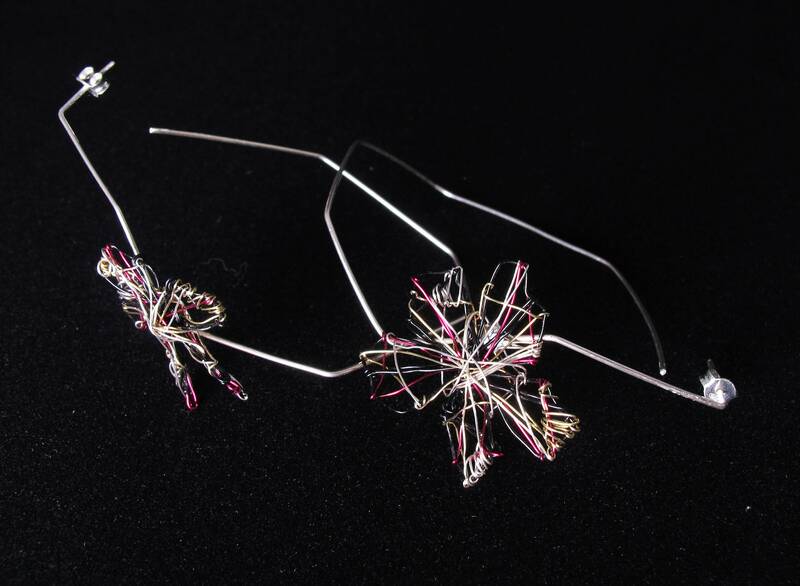 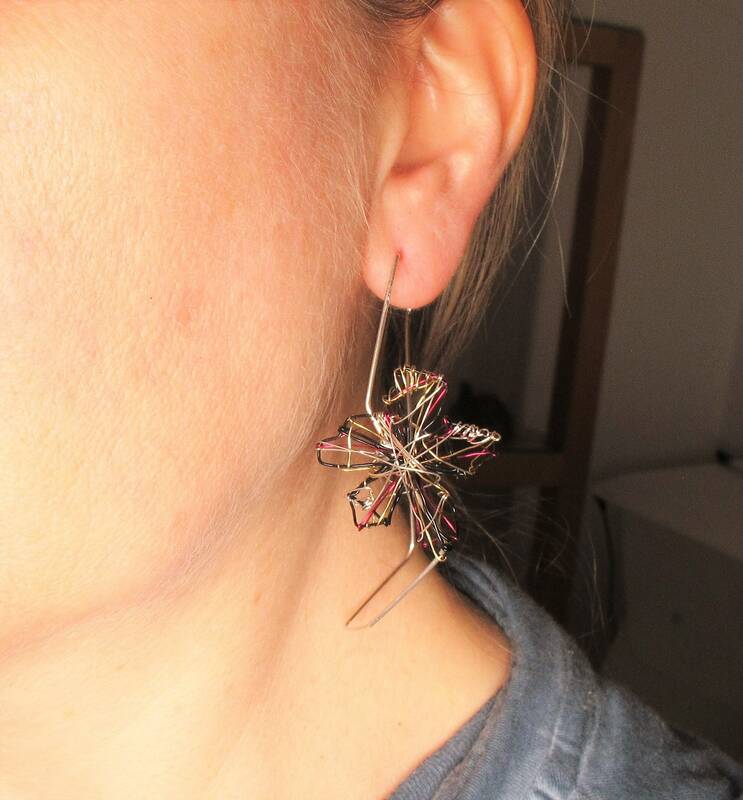 Black flower geometric hoop earrings made of colored copper wire and silver. 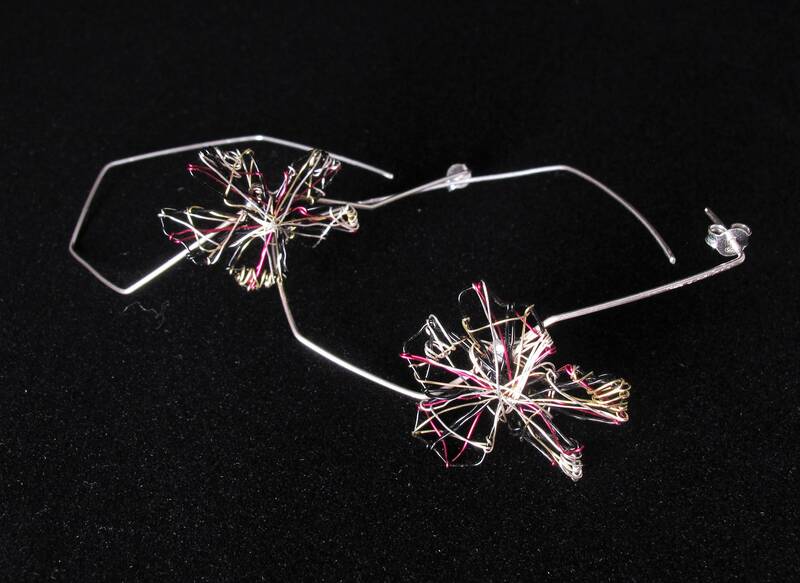 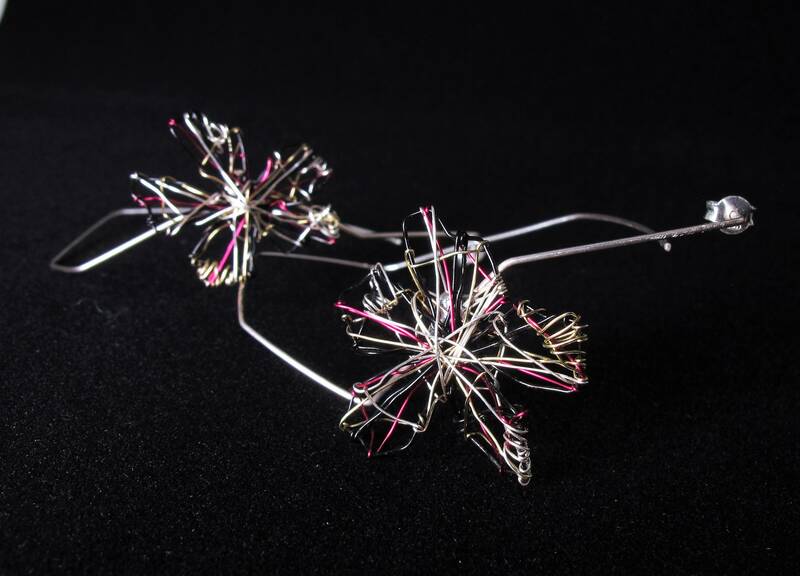 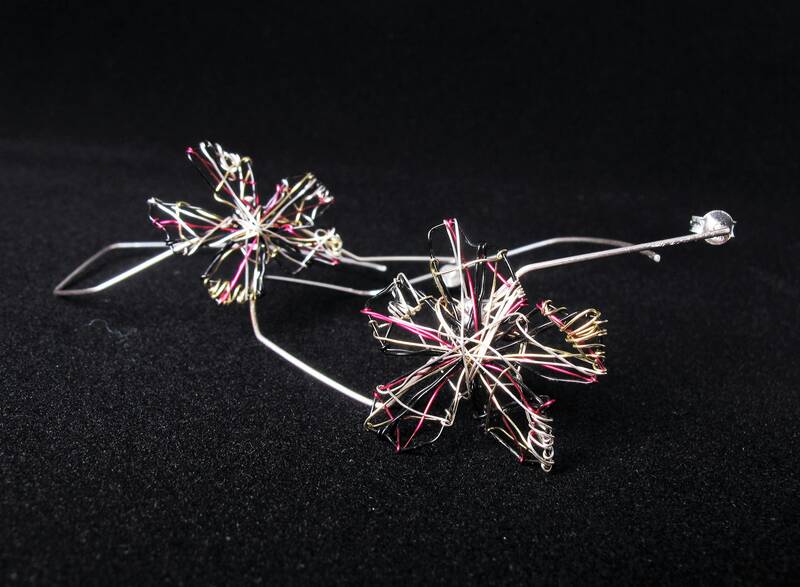 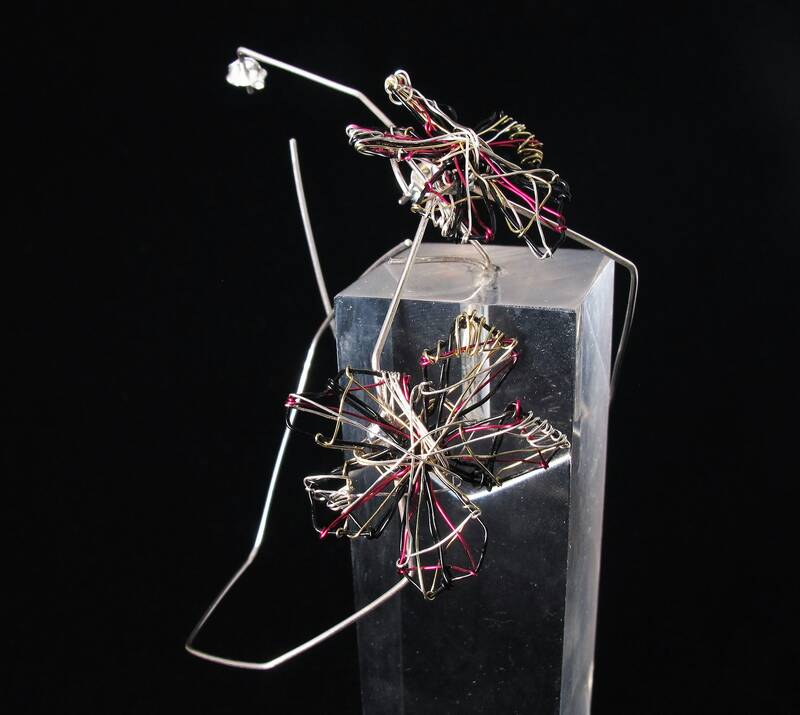 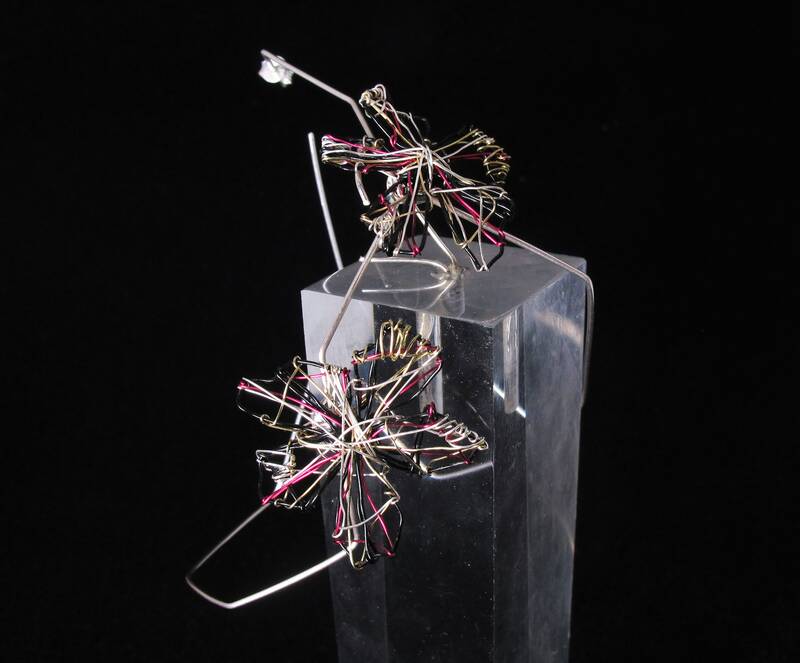 The diameter of each wire art sculpture flower is 2.5 cm. 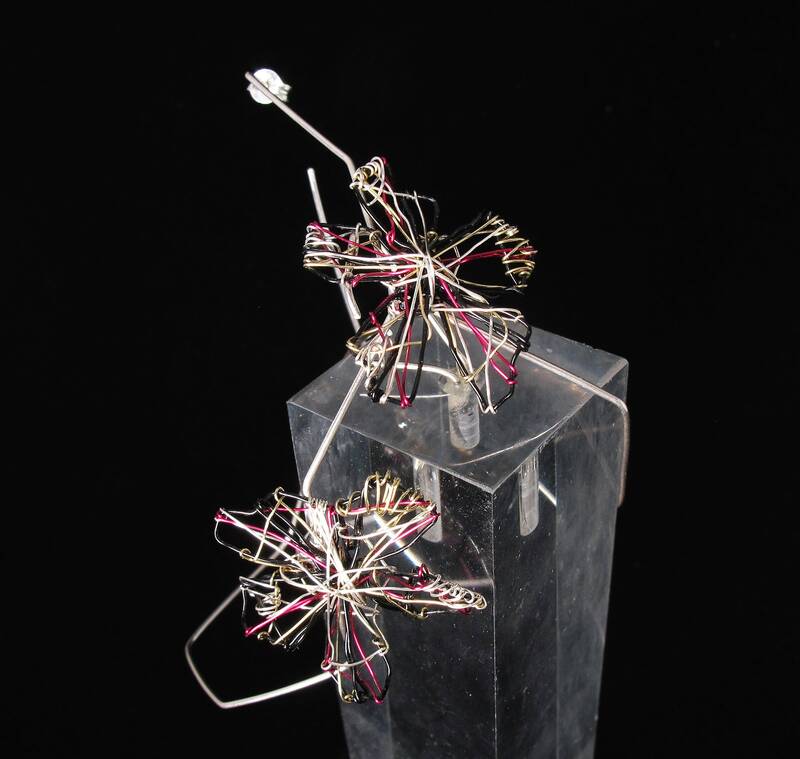 (0.98 in). 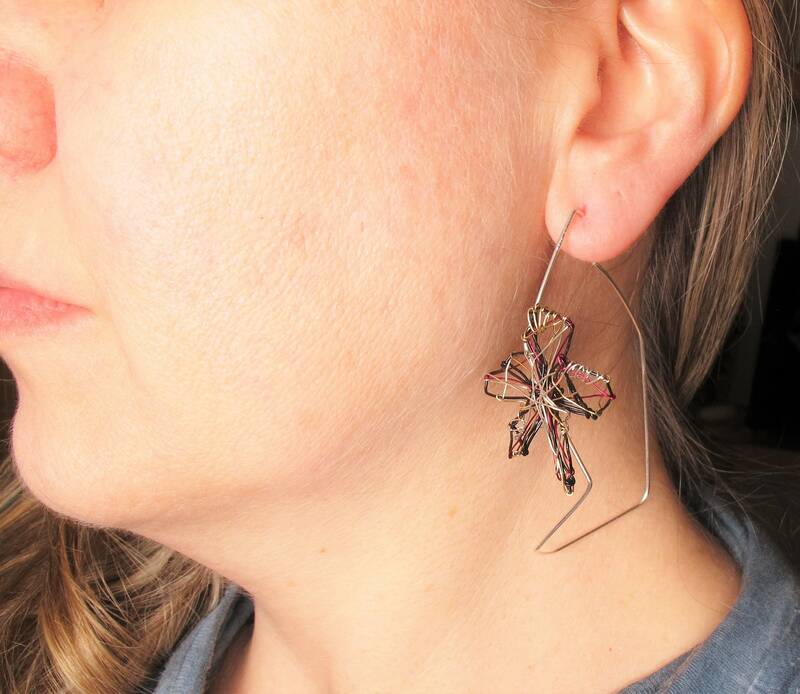 Clips from which standing the delicate earrings is solid silver.